COMBINE the egg and milk until you’ve reached a smooth mixture. 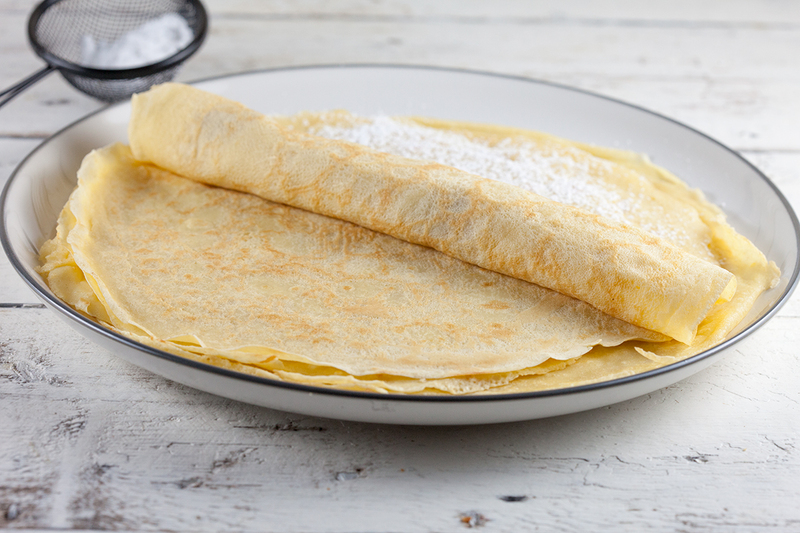 ADD custard powder or vanilla extract if you’re going for sweet pancakes. Gradually ADD the flour and keep on stirring until the batter is smooth again. 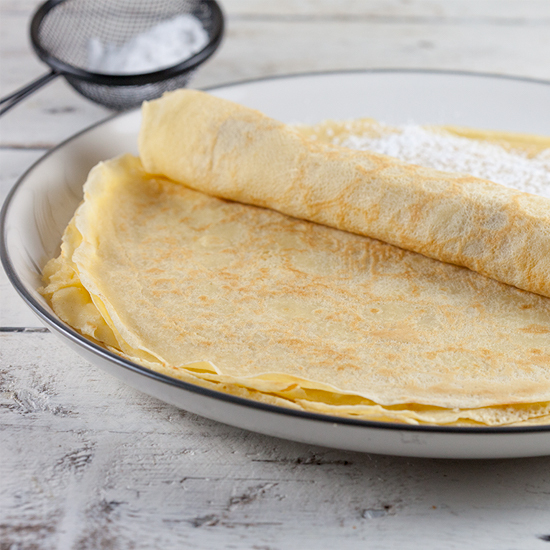 For nice thin pancakes, the batter should be runny. 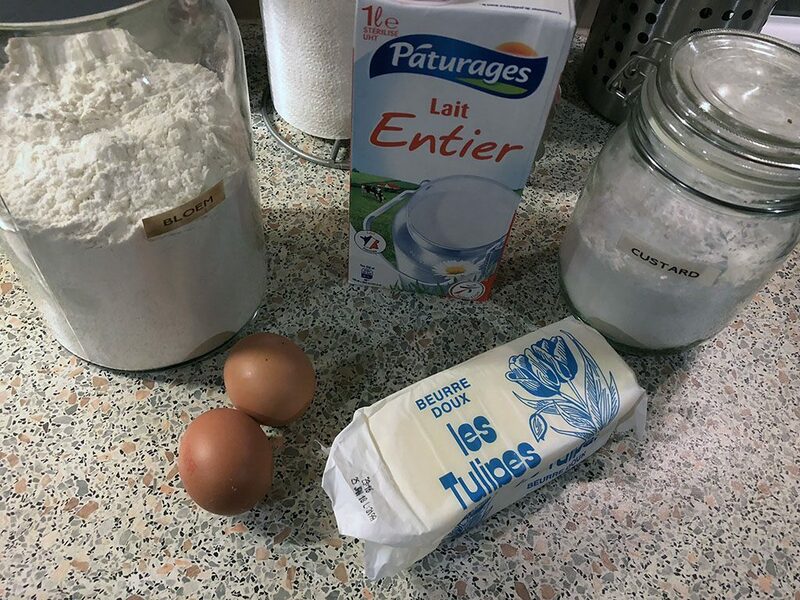 If you want the pancakes to be thicker, you can add some more flour to the batter. HEAT a large skillet on medium-high heat and add a bit of butter. Don’t add too much butter, otherwise the pancakes will be too greasy and butter tends to burn quickly. ADD a soup serving spoon full of batter to the skillet and rotate the skillet so the batter is evenly spread. Wait until the bottom of the pancake is lightly golden and then turn the pancake. REPEAT for the remaining batter. 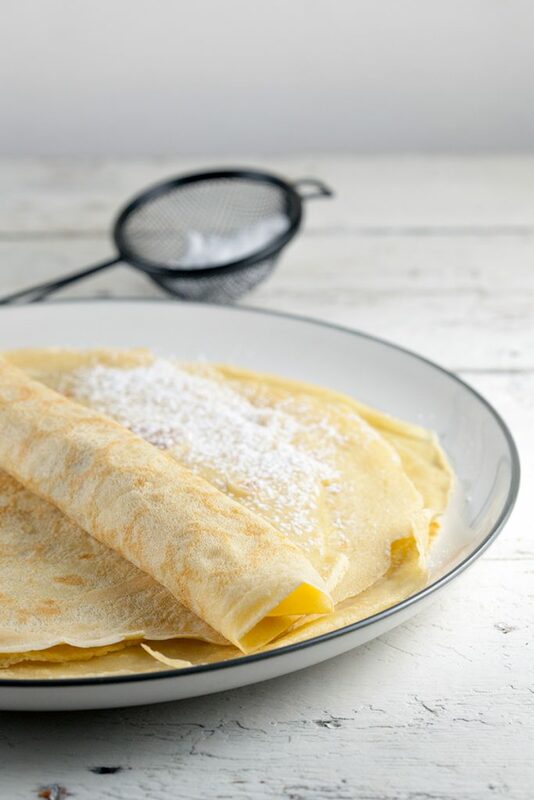 These thin pancakes are a basic recipe, you can top them with powdered sugar or molasses, enjoy!